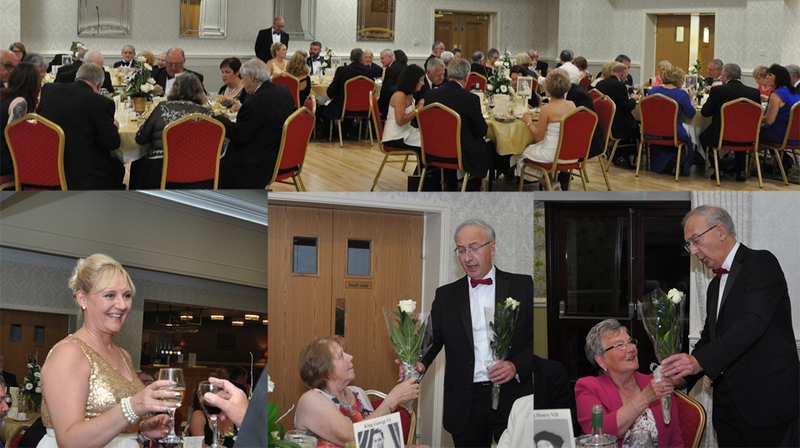 Friends, colleagues and brethren of Adele and Allan Shields celebrated Adele’s Ladies’ Night in fine style. Allan, who is the master of Rockhaven and Horwich Lodge No 2324, welcomed the brethren, friends and guests to the special occasion. 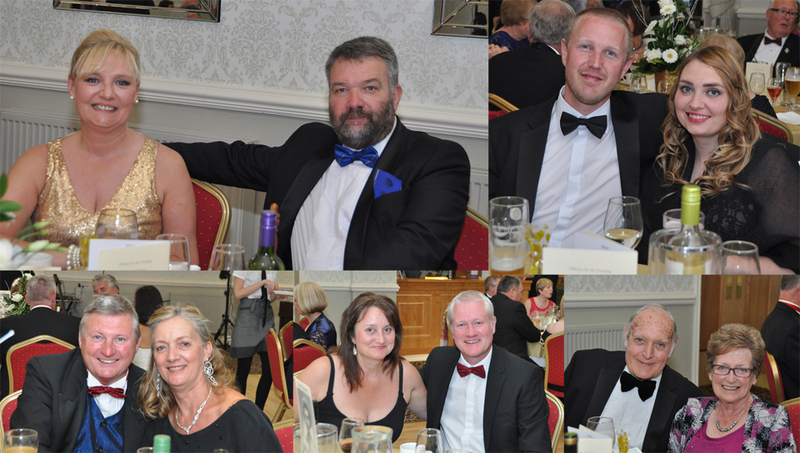 The special occasion, which was held at the very swish and newly refurbished Brookfield Hall, is the home of Westhoughton Masons. On the menu for the special banquet was; garlic and stilton stuffed mushrooms, cream of vegetable soup, lamb shank and all the trimmings, New York cheesecake followed by coffee and was an absolute treat. Malcolm Timms proposed the toast to the ladies, following which David Harrison sang the ‘ladies song’ and the ‘roses song’, accompanied by Ray Dainton. Adele, in her response to the toast to the ladies, thanked everyone for making it a special evening that she would remember for many years. 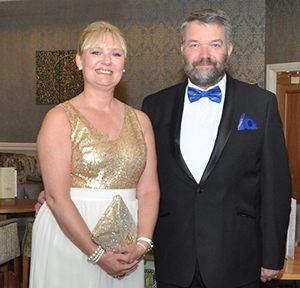 She said that one of the abiding memories was the way in which the lodge brethren and the organisers of the evening had all pulled together in a warm and friendly way to produce a first class evening. Pictured top left: Adele and Allan Shields. Top right and bottom row: Guests of Adele and Allan. The evening continued with music from Gary Ryan to dance the night away and then it was midnight; the night had gone and the revellers reluctantly made their way home. Pictured top: Some of the many diners. Bottom left: Adele gets a toast to her health. Bottom middle and right: Recipients of roses.